The Diva's Weekly Challenge #143: "UMT v.XXII - Cruze"
Cruising with cruze! 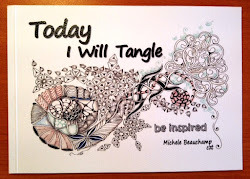 This is such a super tangle so I was quite happy when it came up for The Diva's challenge, after playing with it last week I wanted to try it again. 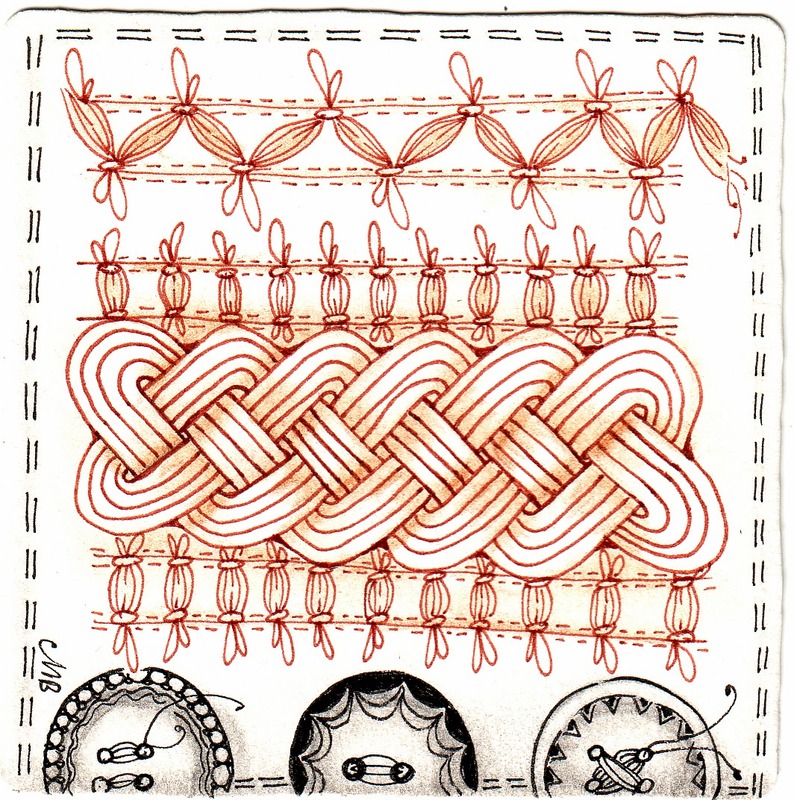 Have you tried Ona, it is a fun tangle from José Meeusen of The Netherlands. they are so perfect!! love them. Both are lovely tiles! You manage to keep cruze so even! Beautifully done. Both tile are wonderful! My favorite is the second one! You make it look easy. I loved the way you incorporated it. Well, I'm off to Providence this Friday, driving there. Am I excited ???!!! Oh yes, exciting indeed!! Have a wonderfully safe trip. I like the other tangles next to Cruze. Love both of your tiles, and I agree, ona looks great, I have to try that one too. 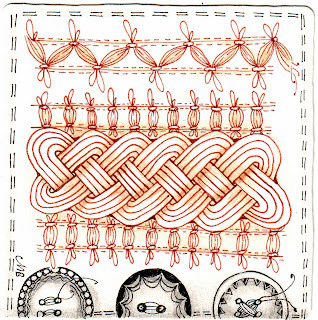 I love needle work, so needle work on paper with my pen ... Great. Thanks for sharing. Love these, the first within the box is full of goodness and texture. 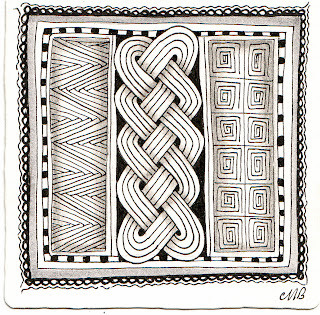 Love your second, beautiful needlework, great job of Zentangle sewing, my favorite way to sew! Both are very Nice, but the first one is simpel and Stright one, but very beautiful and lovely! 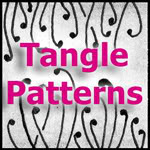 I love your tangle buttons! Ribbons of beauty! You executed the pattern perfectly! Enjoyed your change in style for this one. 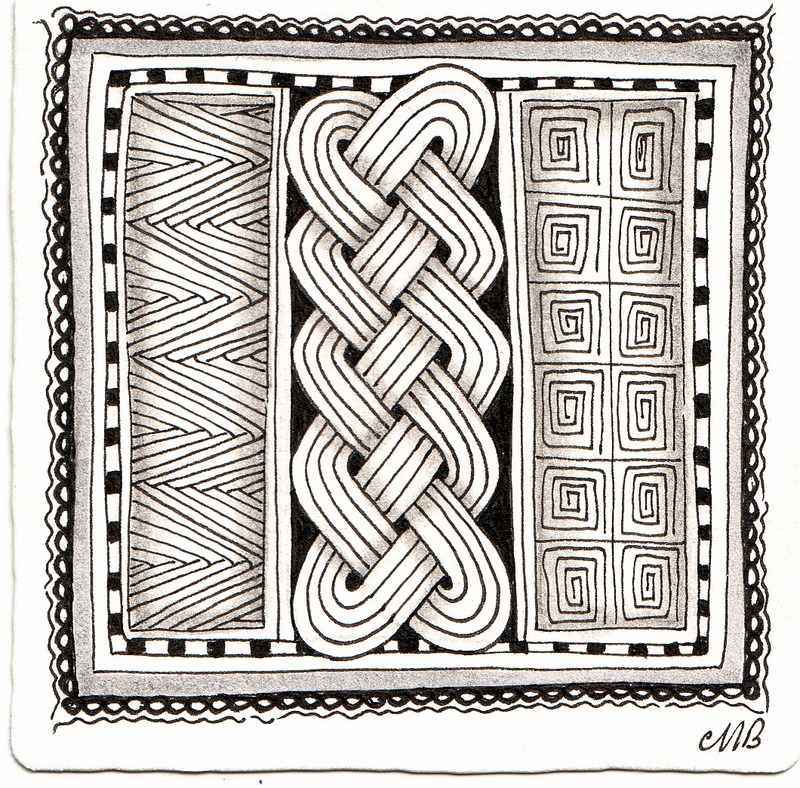 The top one reminds me of a window.